One of the most under-utilized foods in our current culture is the acorn, the majestic nut of the oak genera (Quercus). Many people think of the acorn as a strictly Native American food, but its consumption has been documented all over the world, including in Europe, Asia, and northern Africa. There are plenty of resources available detailing the instructions on processing acorns (web sites, videos, books) in order to decrease their levels of tannins, so I will not belabor the subject. Once you master the art of leaching, you may be interested in another traditional processing method to remove the tannins. This involves the use of clay. You see, tannins are astringent substances of plant origin that, when consumed in sufficient amounts, can interfere with mineral and protein absorption. In small amounts, however, they can be quite beneficial. It is rarely discussed that, in addition to hot and cold water leaching, mixing clay (specifically red clay) with non-leached acorn meal can reduce bitterness, increase palatability, and decrease tannic acids. Two researchers, Timothy Johns and Martin Duquette, studied the uses of clay amongst the Pomo people of California and the natives of Sardinia (1). These geographically separated groups produced acorn bread in slightly different ways using clay to increase palatability. To make acorn bread, the Pomo would mix clay with ground acorn meal in a ratio between 1:10 and 1:20, to which water would then be added. Small loaves would be formed and baked in an earth oven for 12 hours. In Sardinia, the natives would stir clay with cold water, then add the mixture to a pot of dried acorn meats (1:8, clay to acorns). After boiling for five hours, ash from grape vines would be combined, allowing the entire mixture to cook for a few more minutes. Through these methods, as much as 77% of the tannin content could be reduced without any prior leaching. But when Johns and Duquette experimented with the adsorption capacity of clay for tannins in the laboratory, they discovered something different*. Only about 8-12% of the tannin content of acorns could be reduced in the recommended amounts by the Pomo and Sardinian natives. This is clearly not a significant reduction, and could render the acorns slightly toxic with levels of tannins still too high. How, then, were the natives able to consume the acorn bread, and how did Johns and Duquette arrive at the original reduction number of 77%? It turns out that when acorn bread (with clay) is baked in oven temperatures at or above 100° Celsius for many hours, the tannin content can be reduced by several times what can be achieved through laboratory adsorption alone. According to the researchers, heat may increase the adsorption capacity of the clay for tannins, but more likely increases catalytic activity in actually breaking down the tannic acids. Takeaway message: If you’re looking to use clay for the purpose of leaching acorns, using heat will dramatically improve the leaching process for the reasons stated above. 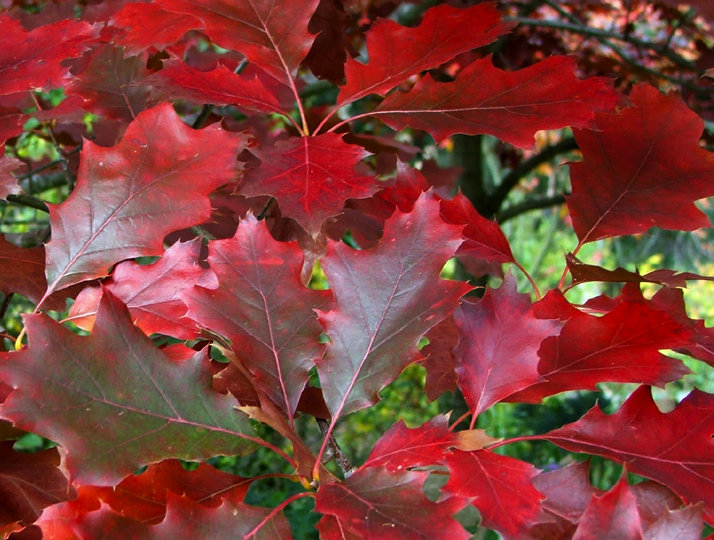 Oak trees are found in abundance all over the world, which means that food is available for all who are interested. Acorns are very nutrient-dense at around 13% fat, 41% carbohydrate, 8% fiber, and 3.5% protein (2). I encourage you to gather acorns and learn the traditional art of processing and cooking them, both through leaching and through the addition of clay. Acorns are true superfoods, and making them a regular component of your diet will benefit your health, your family’s health, and the planet’s health. *Adsorption, different than absorption, is the adhesion of a chemical species onto the surface of particles. In this example, tannins are adsorbed by the clay. Like what you’ve read? Sign up below to receive notifications for new posts, and don’t forget to check out the Facebook page (facebook.com/wildfoodism) to learn more about wild food nutrition and identification!